EDGE SEL FWD. VISTA ROOF, CHROME WHEELS! CHECK OUT THE VIDEO! 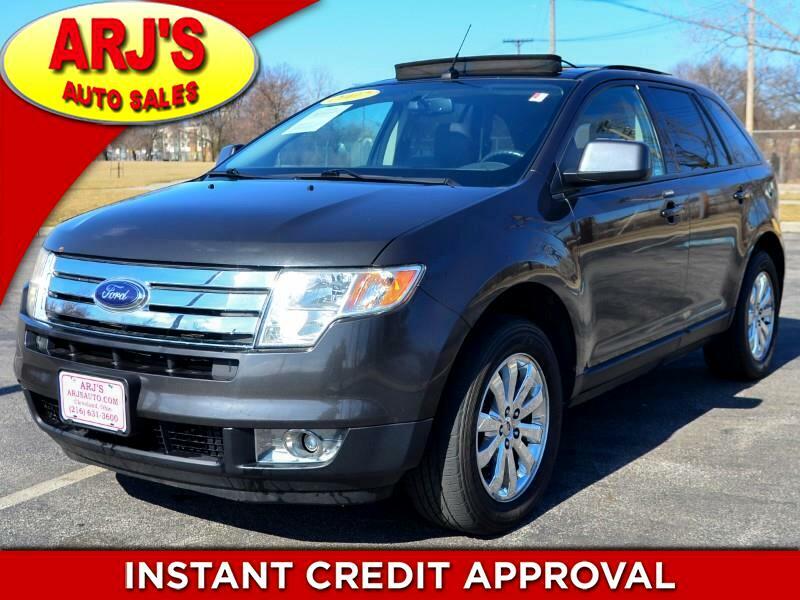 ARJ'S AUTO SALES IS PROUD TO PRESENT THIS STYLISH 2007 FORD EDGE SEL. THE MINERAL GREY METALLIC EXTERIOR OPENS TO A SPORTY CHARCOAL CLOTH INTERIOR. EQUIPPED WITH THE PANORAMIC VISTA MOONROOF! SECOND ROW FOLDS FLAT WHEN YOU NEED TO CARRY CARGO. THERE ARE FEATURES EVERYWHERE IN THIS SPACIOUS EDGE. A 3.5L V-6 AND FRONT WHEEL DRIVE TAKE YOU WHERE YOU WANT TO GO WITH ASSURANCE. CHROME WHEELS HAVE TIRES WITH GREAT TREAD ON THEM. GOTTA SEE THIS ONE!